Animal Attraction Pet Grooming, “Specializes in the Cat”. I professionally groom my Persians for show and can make your kitty beautiful too. Grooming is done without tranquilization in a cat happy environment. We will discuss together what your kitty needs prior to the groom. I will also give you helpful tips on grooming, nutrition and behavior. Cat grooming includes: baths, comb outs, belly cuts, and lion cuts. This can be done if Kitty’s coat has been maintained. I do not do excessive pulling of coat that would cause pain and panic to the cat. If a pain free Comb Out cannot be done than I would suggest either a Line cut or a Lion cut. In the Line Cut, the fur on the cat’s underbelly is shaved (about 3 widths of a razor). It is a partial cut involving shaving the fur on the cat’s inner thighs, armpits, poop shoot. It neatens the cat’s appearance, but the fur on the back, sides and tail is left as it is. The length is blended into the longer fur. While this gives the cat a full-coated look, it reduces the necessary grooming on the cat’s belly fur, which can be prone to matting and picking up debris. 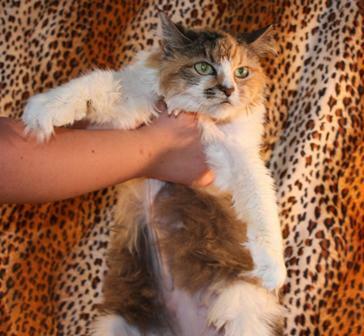 This grooming style involves shaving the cat’s fur down close to the body. The Lion Cut may be required if your cat’s fur has become very matted, and it can be used in hot climates such as Texas, where it’s hot and the cat’s fur contributes to making it uncomfortable. The Lion Cut is where the fur on the cat’s body is shaved, but the fur on the head, feet and tail are left at a longer length. 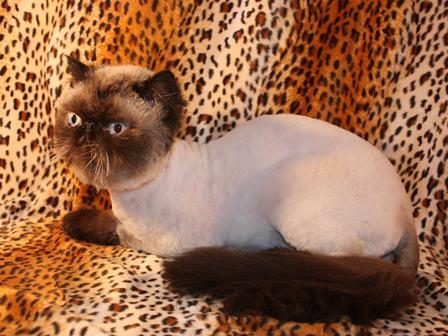 Depending on the cat; a Lion Cut should be scheduled for March – May and August – October. 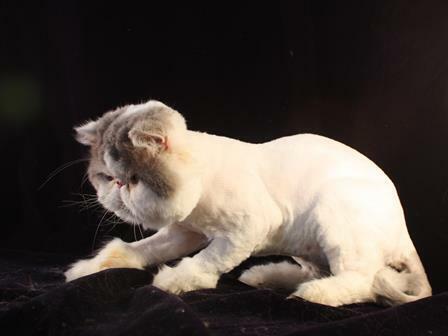 Pricing is determined by the type of groom, additional de-matting time, size of a cat and if the head is fully shaved. There is also a trip fee charge if I will need to travel to the vet for sedation. Tranquilization charges will be paid separately to the veterinarian. I’d be more than happy to discuss your particular needs over the telephone.